Discussion in 'The Garage' started by 5twins, Dec 22, 2017. Over the past few years, I've acquired several of these from different years and after examining them, noticed quite a few differences. Most are minor or cosmetic, but some are major. 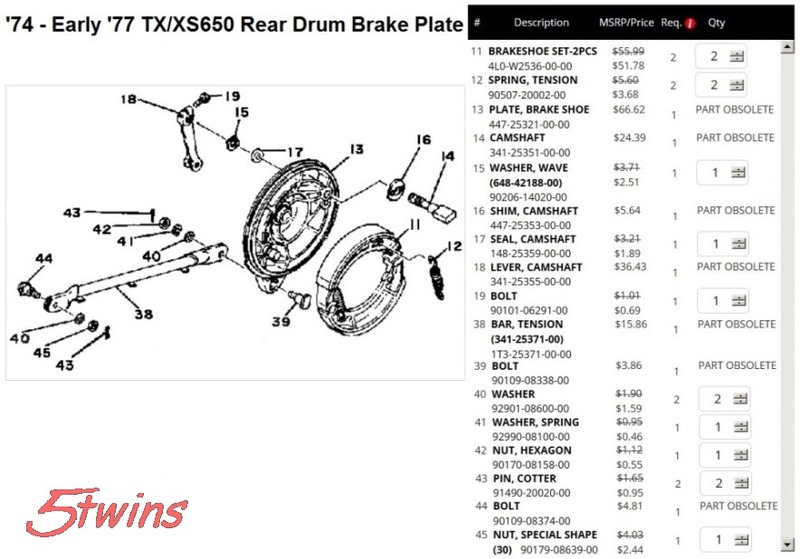 It's pretty common knowledge that the brake shoes are the same for all years and that any plate will swap into any wheel, but that's about the extent of the published data. I'm going to "fill in the blanks", so to speak. 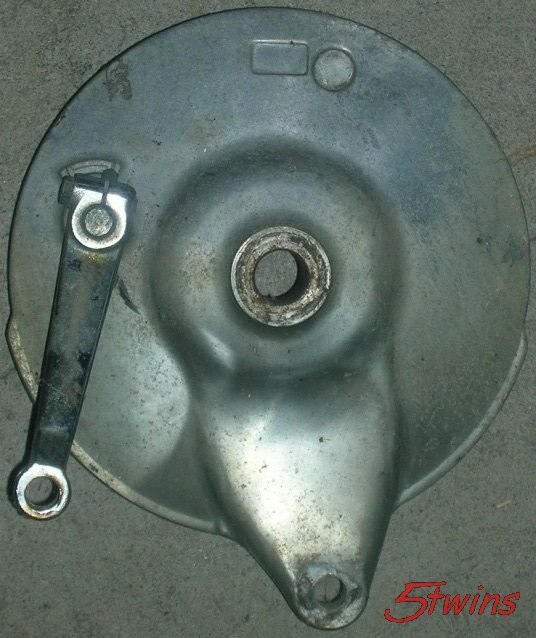 If someone acquires a separate brake plate without a wheel, this should help them I.D. it, and if it's missing some parts, you'll know which ones can be used. MaxPete, 59Tebo, geedubya and 10 others like this. Continuing with the pictorial plate history, we get to the last version used, from '81 to the end of production. 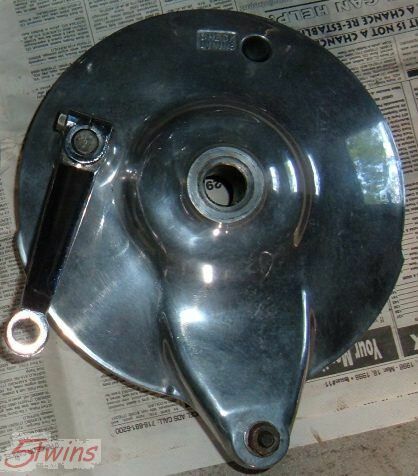 Again, the casting was changed along with the part number. 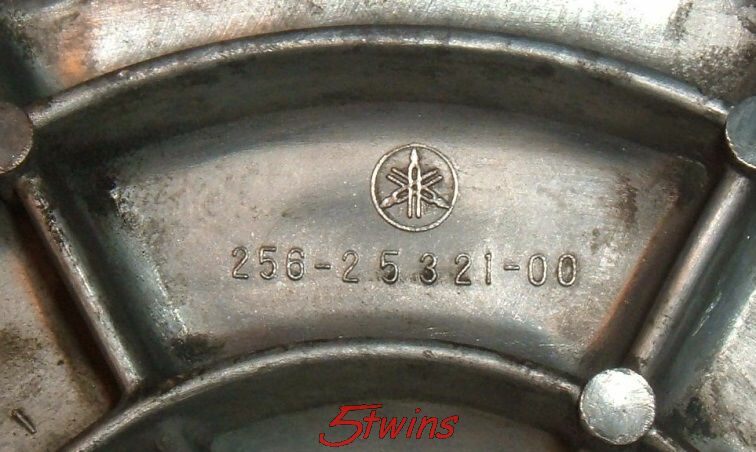 The first 3 digits of the part number changed to "4M4" but for some reason, Yamaha didn't change that on the casting. It still has the "1T3" cast into it. 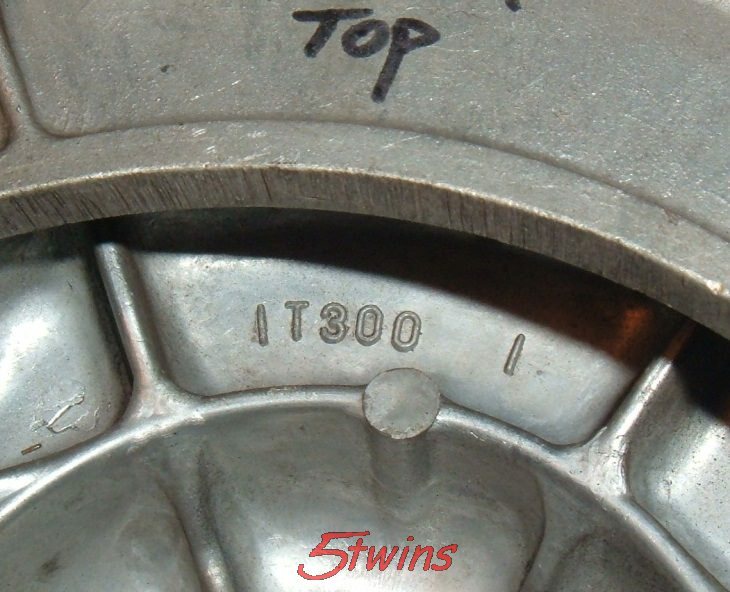 In 1981, the plates were black, later plates were polished alloy. A small change at the end of the part number reflects that. Other that the color difference, the plates were the same. 59Tebo, Paul Sutton, TwoManyXS1Bs and 3 others like this. 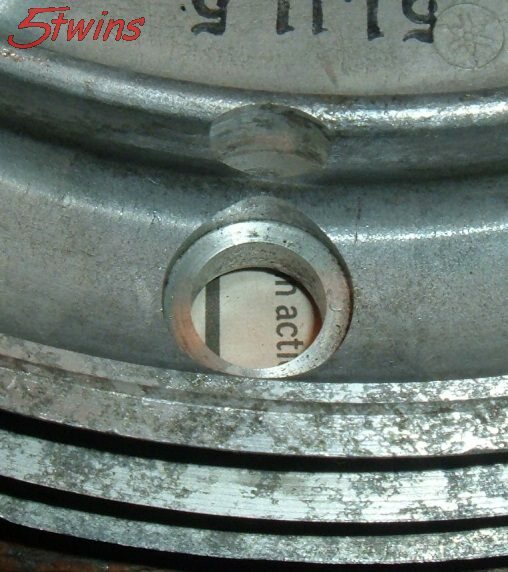 But, to keep the shoes mounted square to the plate, the camshaft had to be spaced back in to make up for the 6mm of missing casting. So, a new longer camshaft was needed. The spacer used on it also needed to be rather special. 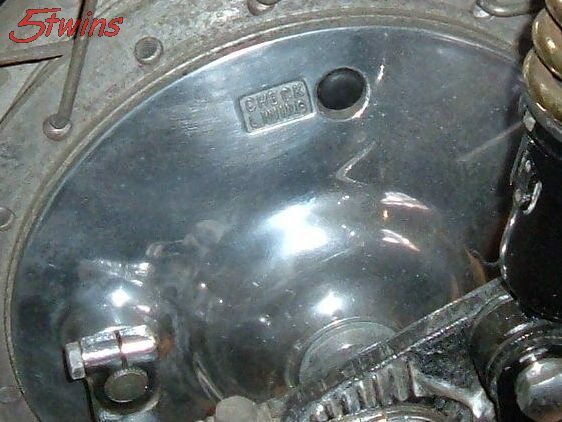 It had to lock onto the camshaft so it would rotate with it and also need a beveled or ramped area on it's bottom to progressively work and activate that electric switch. 59Tebo, figure8, TwoManyXS1Bs and 2 others like this. 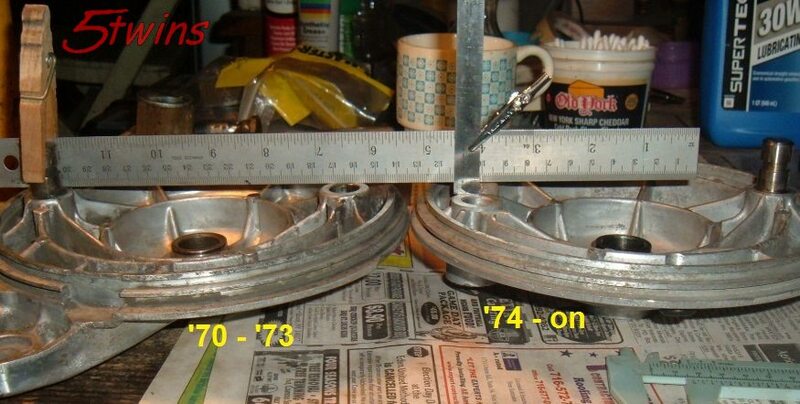 Now let's talk some more about the last camshaft used, the long "short flats" version. I was unable to pin down exactly when this came into use. My '78 has the previous "long flats" version with the funky spacer. My buddy's '80 Special II has the "short flats" version and 2 flat washers as spacers. The parts drawings are confusing on this. 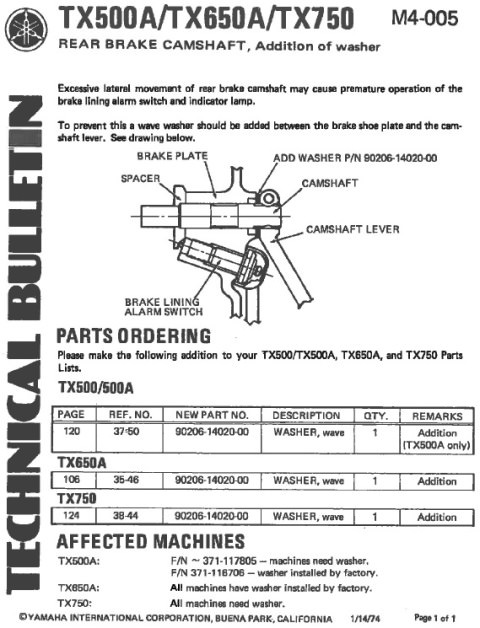 The '79 Standard drawing shows the older "long flats" camshaft but the '79 Special II drawing lists the newer "short flats" version. I don't have a '79 plate to examine and I think that's the only way we'll nail this down. So, anyone with a '79, please chime in. 59Tebo, TwoManyXS1Bs and gggGary like this. 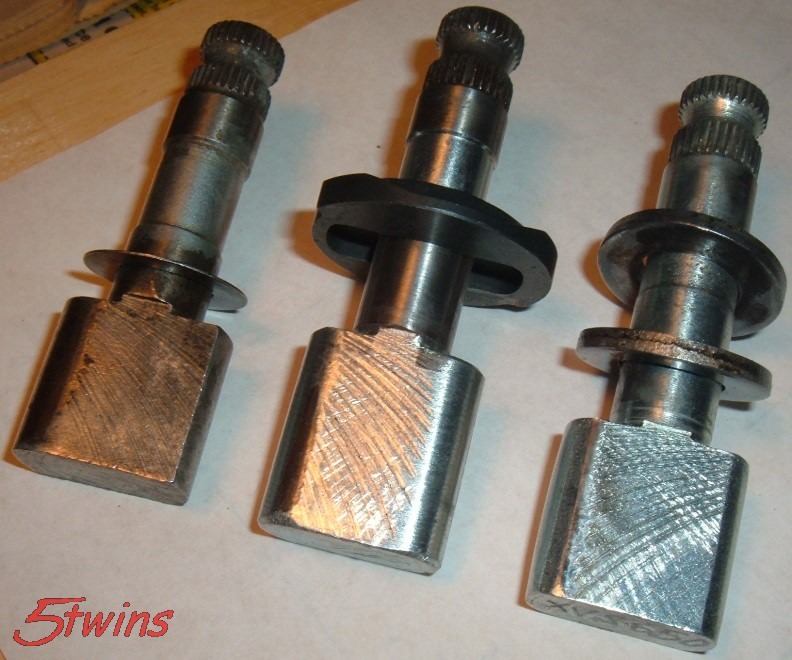 So, the "1T3" and "4H7" camshafts are the same except for that one missing spline on the "4H7" version. I've inspected the "1T3" version on my buddy's '80 Special II and it is indeed fully splined. 59Tebo and TwoManyXS1Bs like this. To confuse matters, the washer is also shown on the '77-'79 diagram. But, once the switch was discontinued, there's absolutely no reason for the wave washer. And to confuse matters even more, the drawings show the washer in the wrong place, on the inside of the hub under the normal main spacer. Here's a picture of the washer and as you can see, it has a pretty big O.D. There's no way it could be fitted on the inside. It would block the function of the switch, blocking access to the ramp in the spacer that activates it. geedubya, Paul Sutton, TwoManyXS1Bs and 2 others like this. That is all very interesting! Thank you 5Twins! I now understand that hIs bike was an early 1977 production while mine came in the latter part of the year. Very interesting. 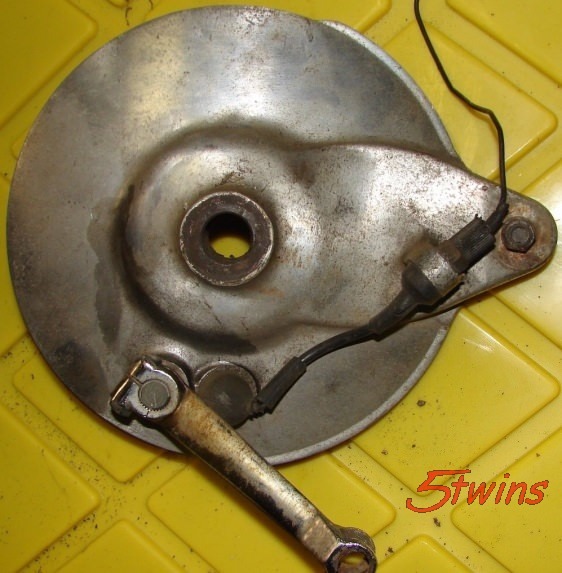 By the way, I don't know if your excellent photo tutorial for rebuilding and servicing the rear brake is still around but I know I used it when I rebuilt my rear drum and found it invaluable. So many good tips were in it. It kills me that so much of your fine work was lost in that S.O.B. Photobucket purge. It's not lost. I still have all the pics on my computer and have uploaded them to another hosting site. I just haven't replaced all the deleted ones in all the posts here. That would be too daunting a task I think. If any of my old posts do come back up with missing pics, I am replacing them. I'm just not about to go through my 14K plus back posts to correct all the missing pics, lol. Just a few more items, I promise, lol. 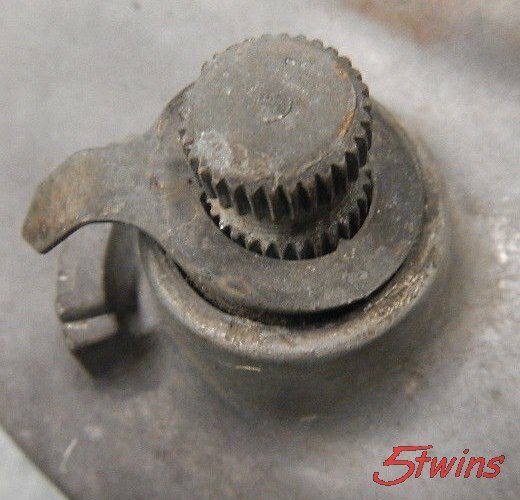 The special oval headed shoulder bolt that attaches the brake stay to the plate - there were 2 of them. The '70-'73 plate uses a 168-25378-00 (or 90109-08184). The '74 and later plates use a 341-25378-00 (or 90109-08338). The difference between the two is in the length, specifically the length of the shouldered portion. 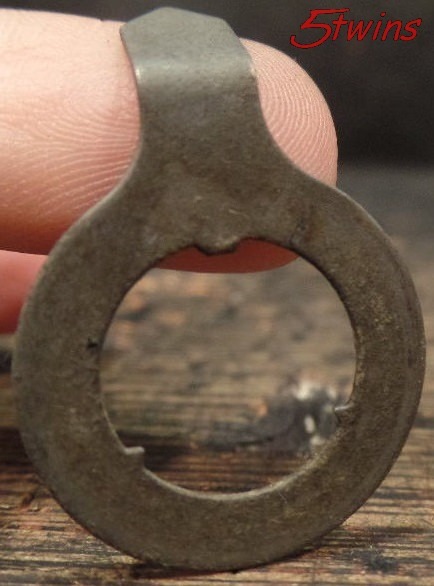 The later "341" bolt is 38mm long, about 18mm of that being the shoulder. 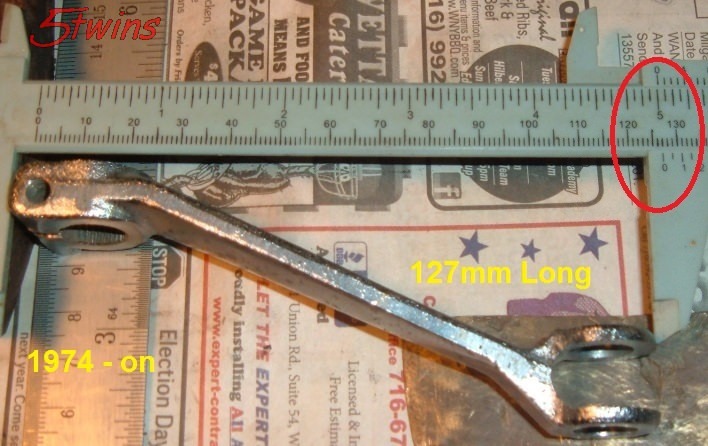 The earlier "168" bolt is 2mm shorter @ 36mm, about 16mm of that being the shoulder. The reason for the difference is because of the brake stays used. 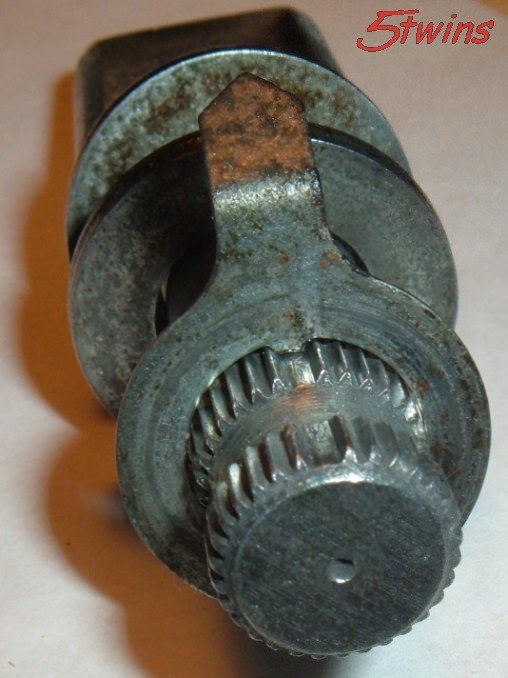 The '70-'73 brake stay was a stamped flat bar. The '74 and later stay was a tube with the ends squashed flat. Apparently those ends were thicker so a slightly longer bolt was required. 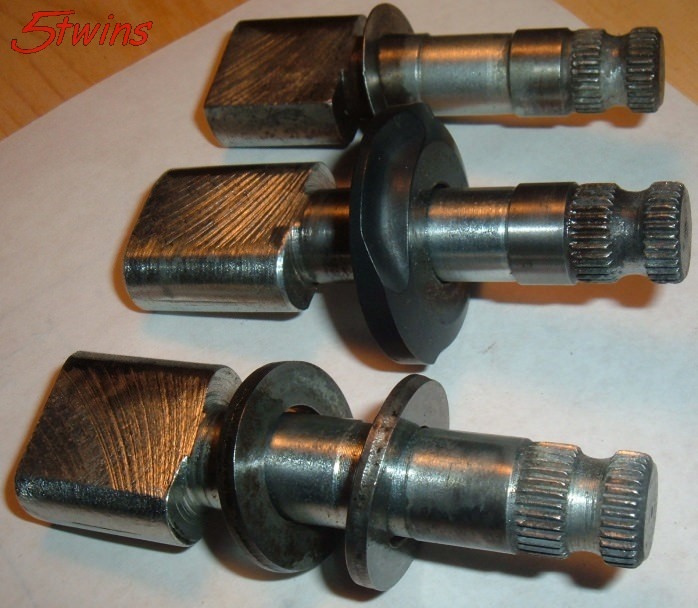 The oval head and the diameter of the shoulder was the same on both bolts, so they will swap into any plate. The one you need will depend on the type of brake stay you're attaching it to. 59Tebo, geedubya, TwoManyXS1Bs and 1 other person like this. And finally, the last item - the brake arms. There were 2 of these used as well. 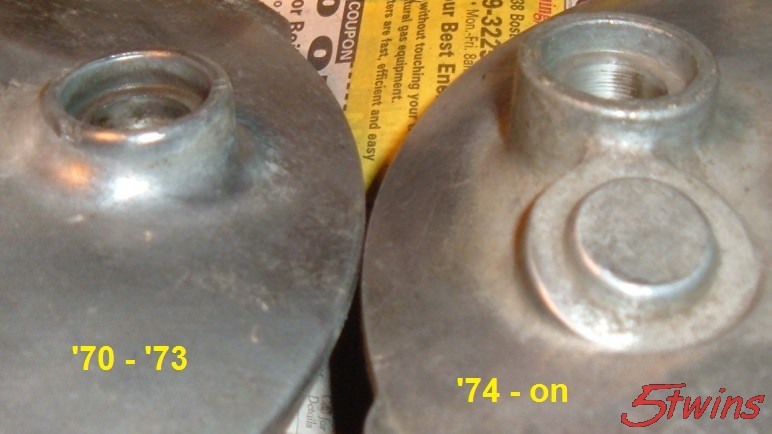 The '70-'73 plate lists a 214-25355-00-00 lever. The '74-on plate lists a 341-25355-00-00 lever. This "341" lever is N.L.A. and will probably be difficult to scrounge as it wasn't used on much else, and nothing any newer than our 650s. The earlier "214" lever, on the other hand, was another one of those parts Yamaha continued using pretty much right up to the present day. In fact, you can still buy it new from Yamaha if you don't mind paying near $34. But, since it has been used so much and for so long, scrounging one cheap is pretty easy. My early plate didn't have one so I snagged a later plate from a different model that used it, the XVS650 V-Star, off eBay. Now, sometimes parts change but the part numbers do not. 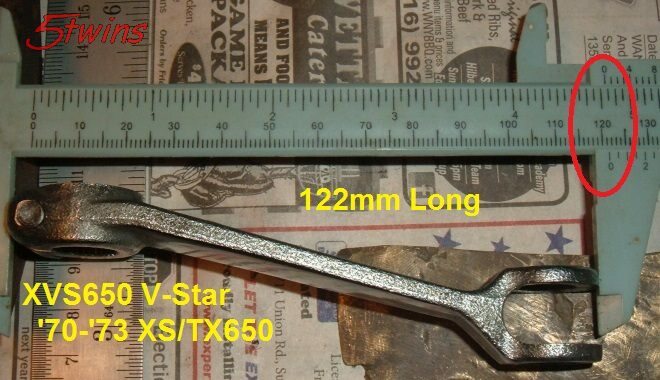 Well, I've got 2M checking my V-Star lever dimensions against his original so we'll know soon enough. I've fitted the V-Star lever up to both my early '70-'73 plate and a later '74-on plate, and it looks like it will work just fine. It's offset enough for the brake rod to clear the plate. 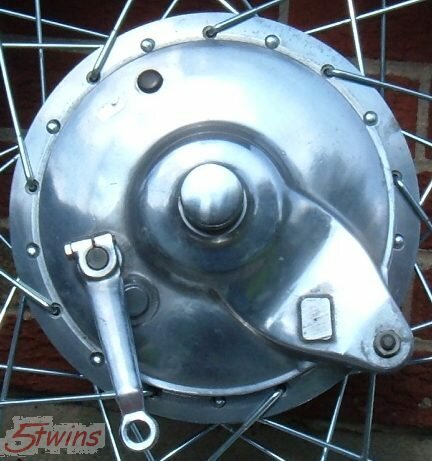 If you're looking to scrounge parts for a 650 plate then the V-Star plate is a very good choice. They are dirt cheap on eBay and it's easy to find a complete one for $20 or less. I paid about $12.50 for mine (and free shipping!!). But you get lots more than just the brake arm. 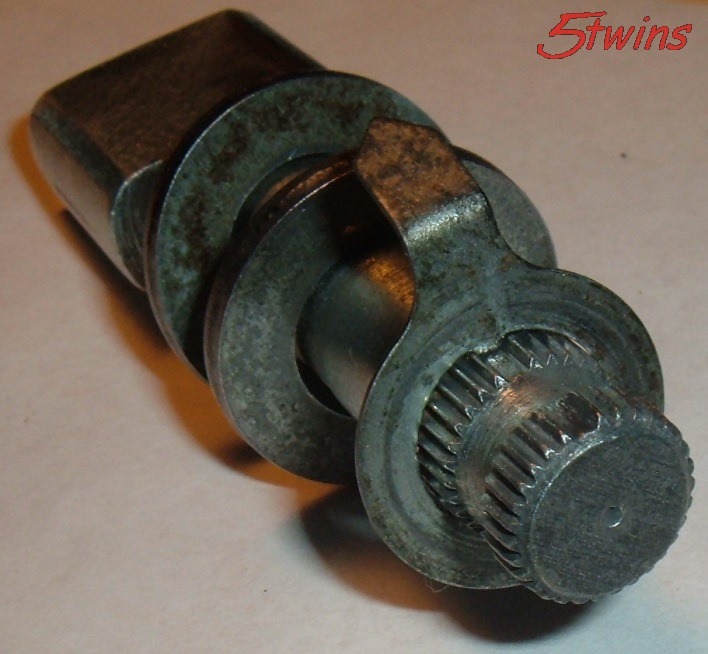 The camshaft is the same "missing spline" unit used on the last 650 plates. This is also still available from Yamaha for about $19. 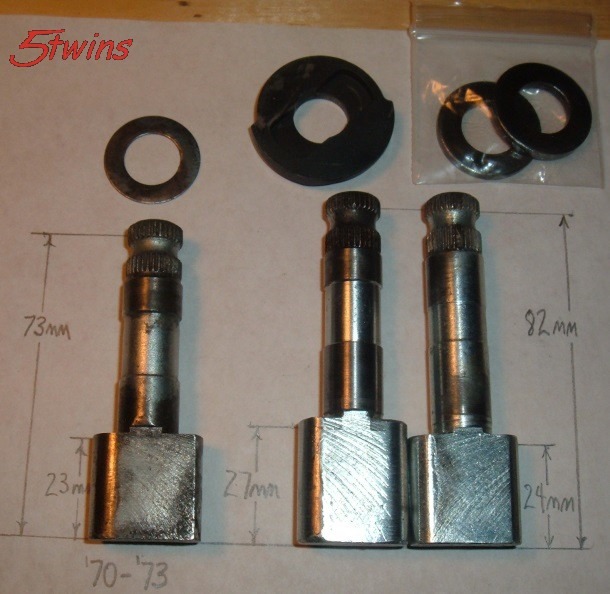 In addition, you'll get one of the camshaft spacer washers ($2.51), 2 brake shoe springs ($3.68 each), and the shoe wear pointer ($4.09). 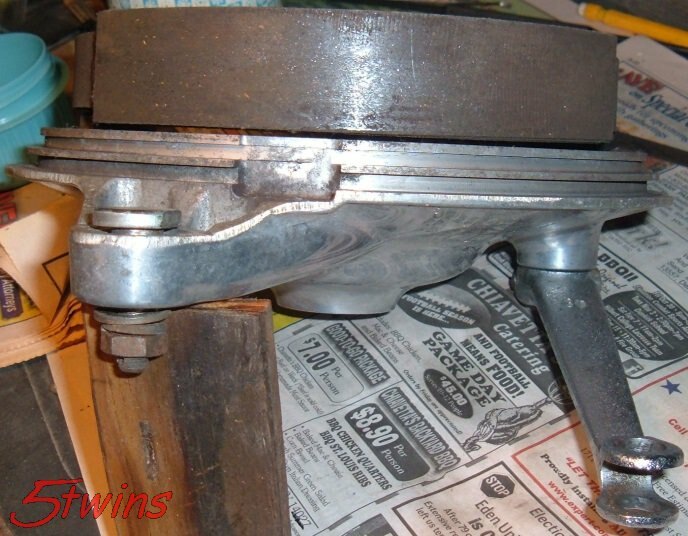 And in my case, there was one more "goodie" to be had - the brake shoes. 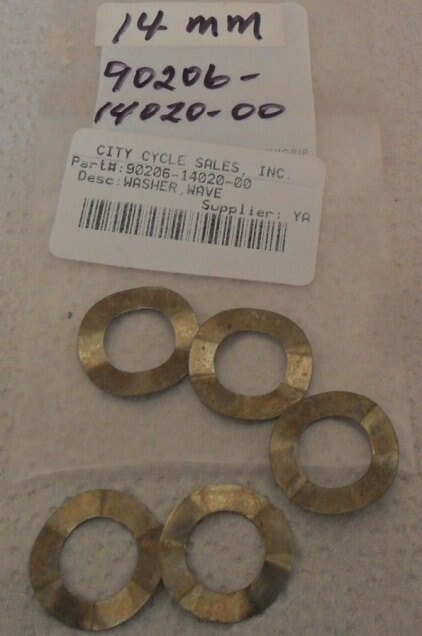 They fit the TX750 wheel I have, so that's another $30 or so. Do the math and you can get near $100 worth of parts out of this thing. The only item I can't use is the brake plate itself, lol. 59Tebo, geedubya, Paul Sutton and 3 others like this. Wow, this was a lot of work and an amazing amount of research and documentation 5twins. What a great resource for the forum. I think that covers THAT subject! Some great info about what goes where. Especially useful for a guy that accidentally mixes n matches. JRP01 and TwoManyXS1Bs like this. We got over 2 feet of snow here last week so I was more than happy to just stay inside where it was warm and fool around with bike stuff, lol. I love finding cheap substitutions for the parts our 650s need. 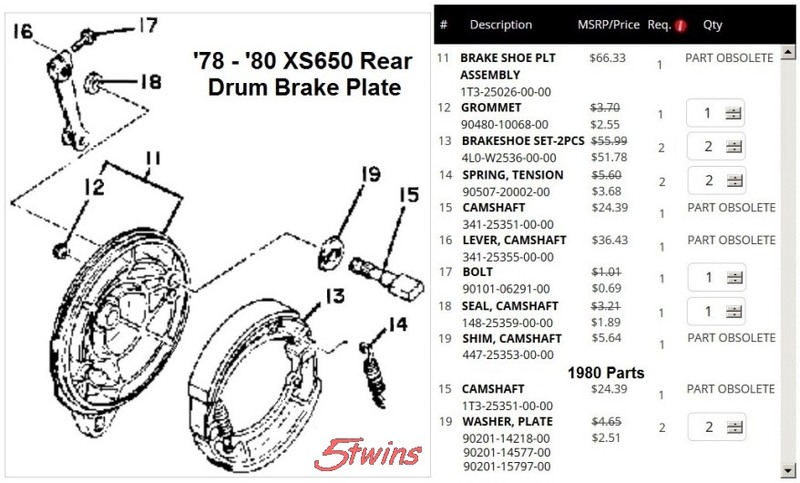 I've managed to source cheap used brake shoes for some of the other wheels I've fooled with (TX750, XS500) but haven't had much luck with the 650. The few models that do use the same shoes are as old as it is so good used shoes are hard to come by. OK, got a couple little updates. 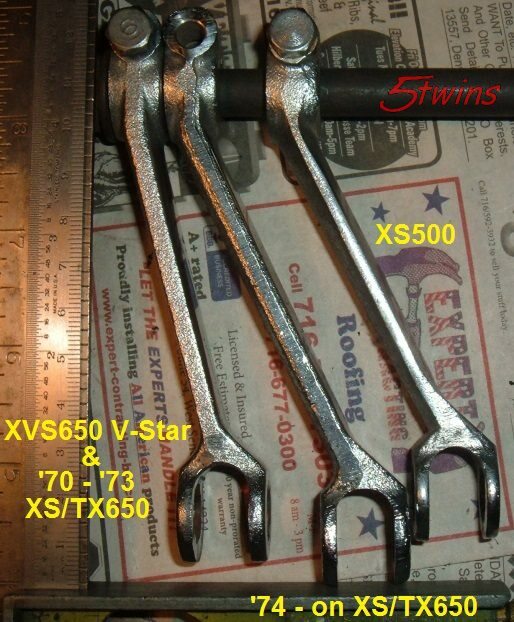 2M has verified that the measurements I sent him for the XVS650 V-Star brake arm match the original arm on his XS1B. That's good news as it gives us a large pool of cheap, good used ones to scrounge from. And being from such a recent model, ones in good condition are pretty easy to find. Honestly, I don't know what would hold them from "walking" off the pivots while in use. The Tin Man, JRP01, TwoManyXS1Bs and 1 other person like this. ...Honestly, I don't know what would hold them from "walking" off the pivots while in use. Yes, the shoe positioning on the pivot "anchor pin" is very important. 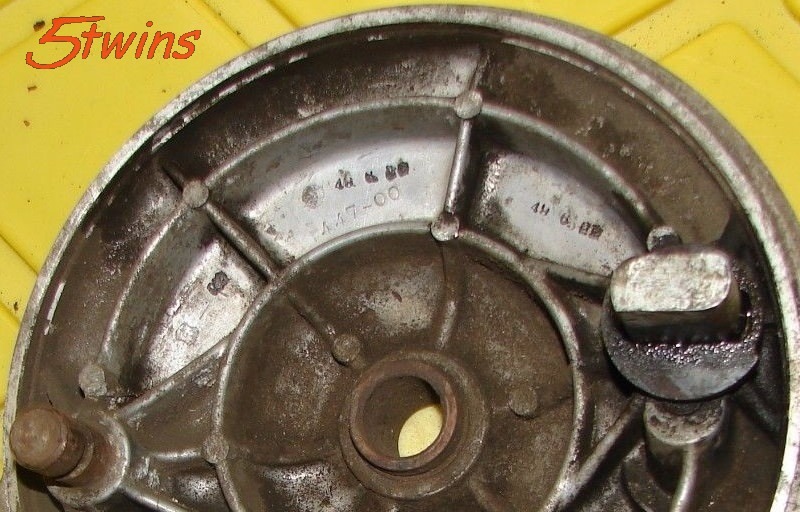 Some brake systems use a retaining washer atop that pin. 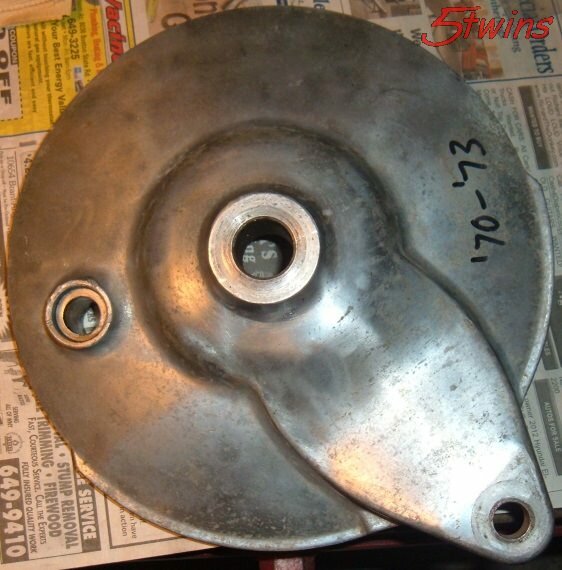 I suppose something like that could be *engineered* on an XS650 brake plate. geedubya and The Tin Man like this. Great stuff 5twins. Very helpful. Especially working on a super high mile bike that has probably been apart many times. 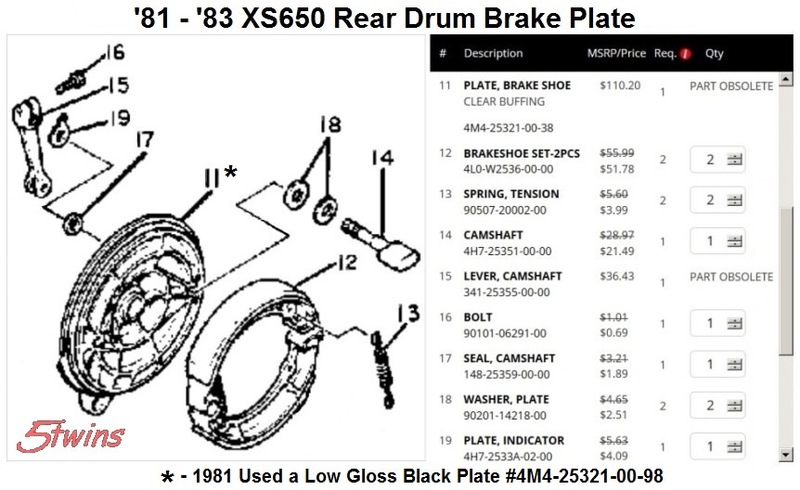 Adding some rear drum info. Methods to clean up the rear drum, and remove the ridge on the outside edge where the shoes don't rub. Once the outside ridge is removed, the drum inside diameter can be measured. The center raised boss of the wheel bearing interferes with getting the ID jaws of a caliper in there, so here's a workable method. 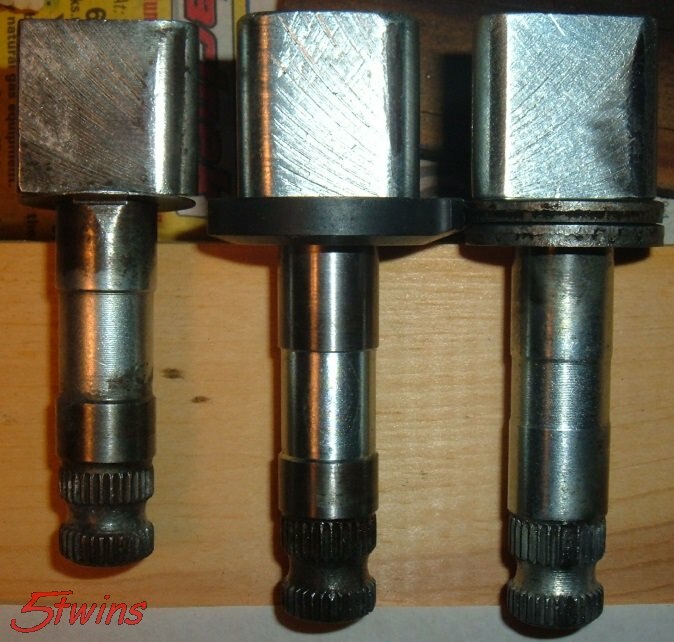 Use a pair of drill bits that are in good shape, no burrs on their shafts. Tape them to the drum inner surface, vertically, directly across from each other. The tape just holds them in position while they're clamped tightly to the drum walls. Ensure that the drill bits are directly across from each other, perfectly vertical, and that a straight shank or flute section, not a groove, faces outward. Now, take a caliper measurement across those two drill bits. 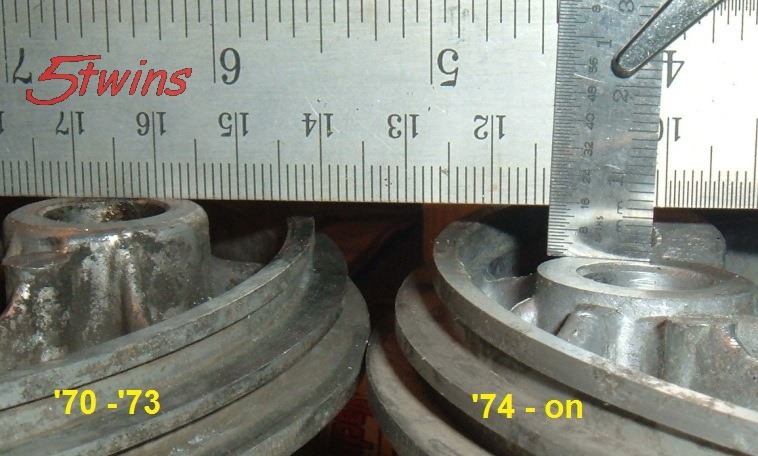 That was my old XS1B hub, showing 180.14mm. Factory spec is for 180mm. 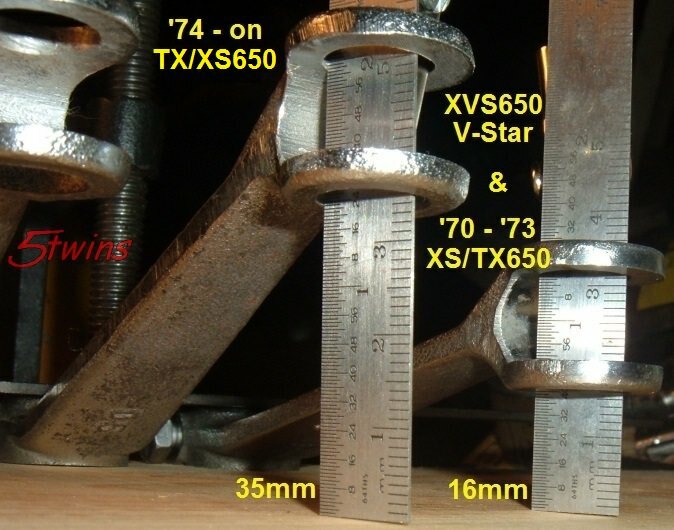 The center-to-center spacings of the anchor post, axle, and cam are 72mm. The brake cam is 12mm thick, on a 14mm shaft. The anchor post is 15mm diameter, its retaining notch is 12mm diameter. 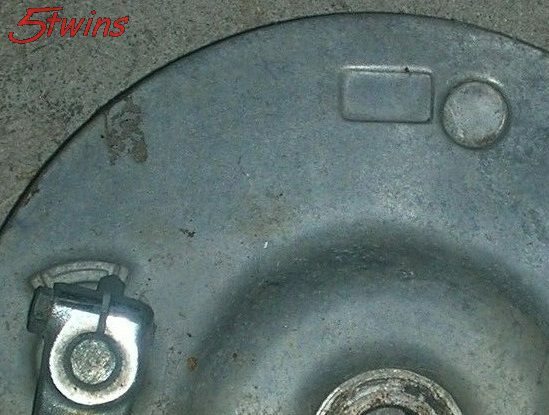 Since the cam is 12mm thick, and the anchor post's retaining notch is 12mm diameter, any refacing of a brake shoe's expansion pad must be in alignment with the shoe's protruding anchor notch.